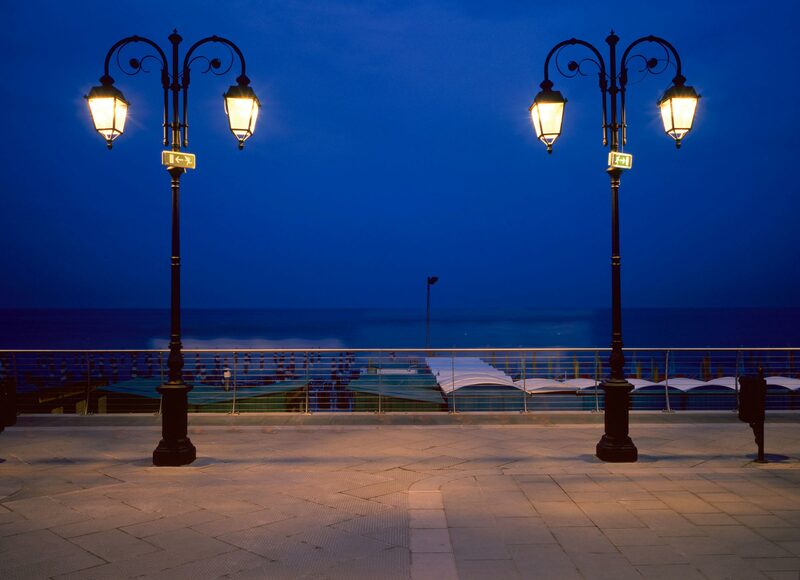 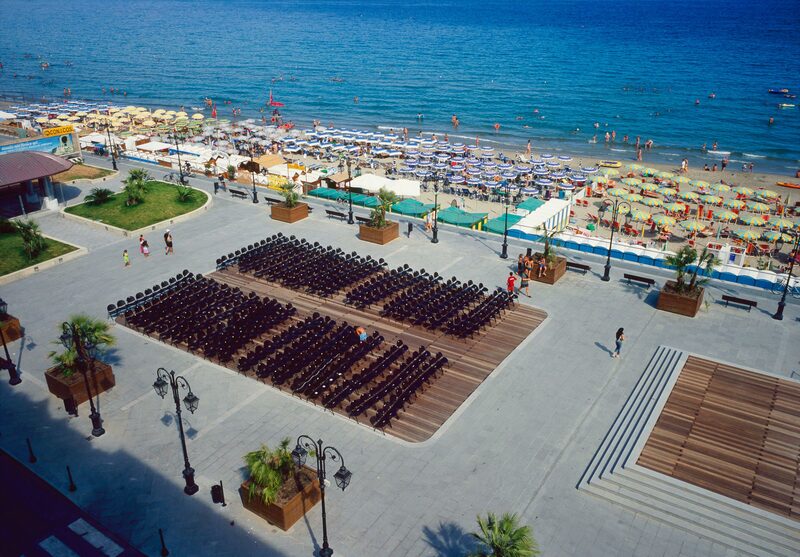 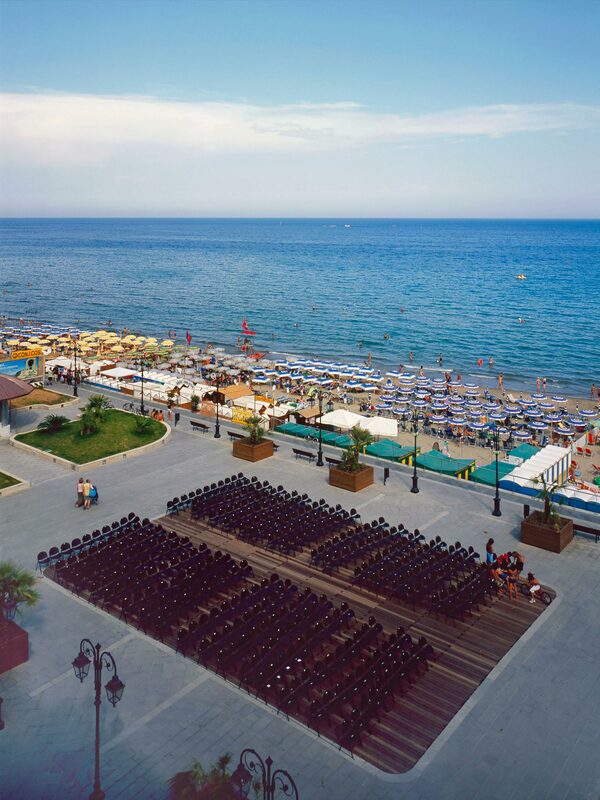 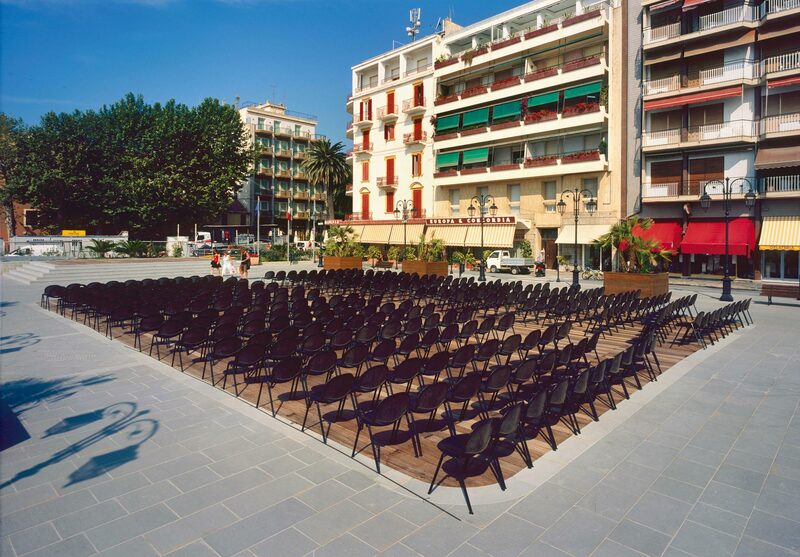 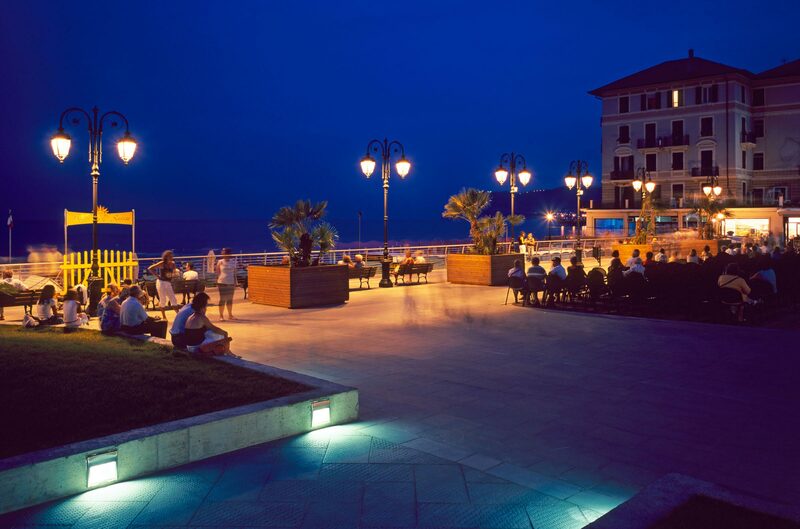 The seafront in Alassio boasts a public area for collective events. 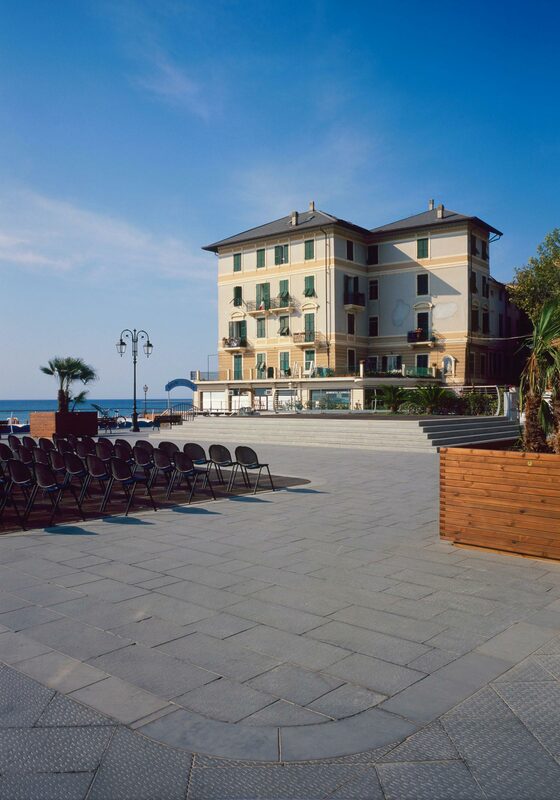 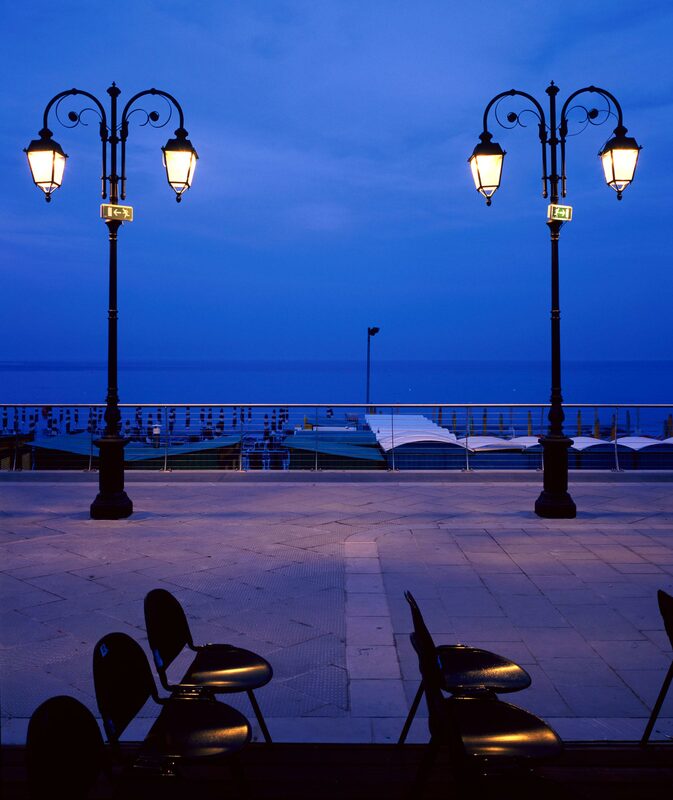 Piazza Partigiani rises above the ground level of bathers presenting itself as a genuine large terrace over the sea. 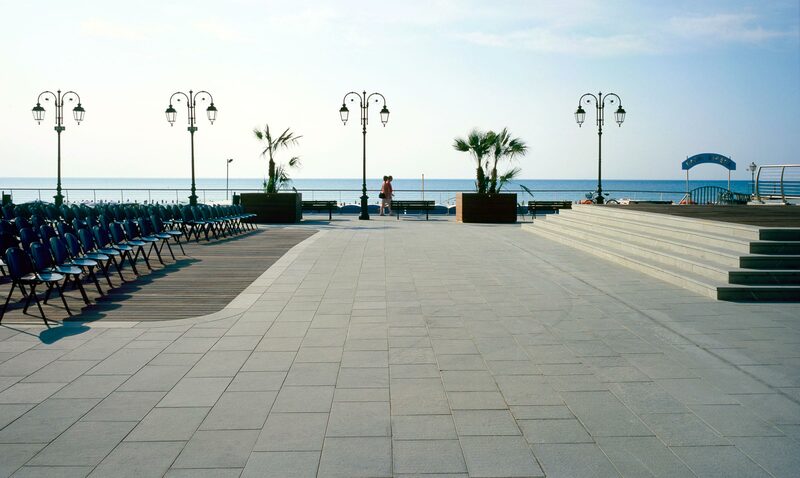 Architect Olivia Vinai relies on differences in laying, sizing and surface treatment to differentiate the various areas: the path, the strip surrounding the parterre and the surfaces facing the platform. 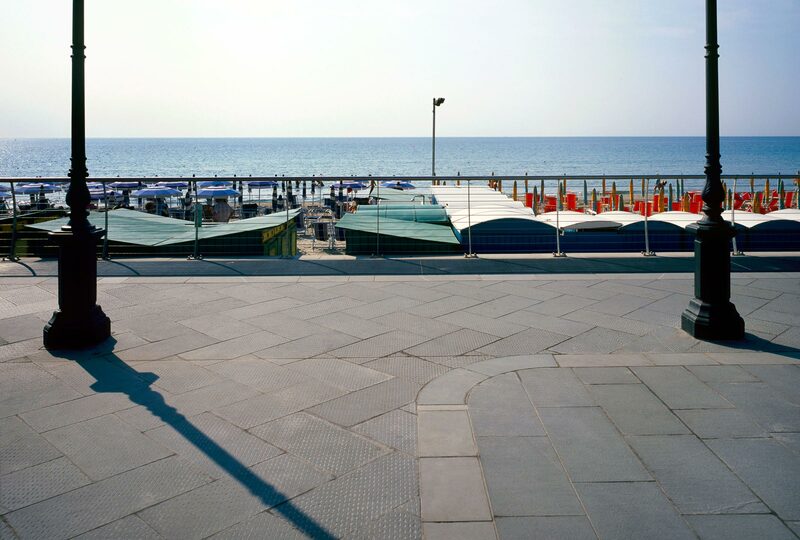 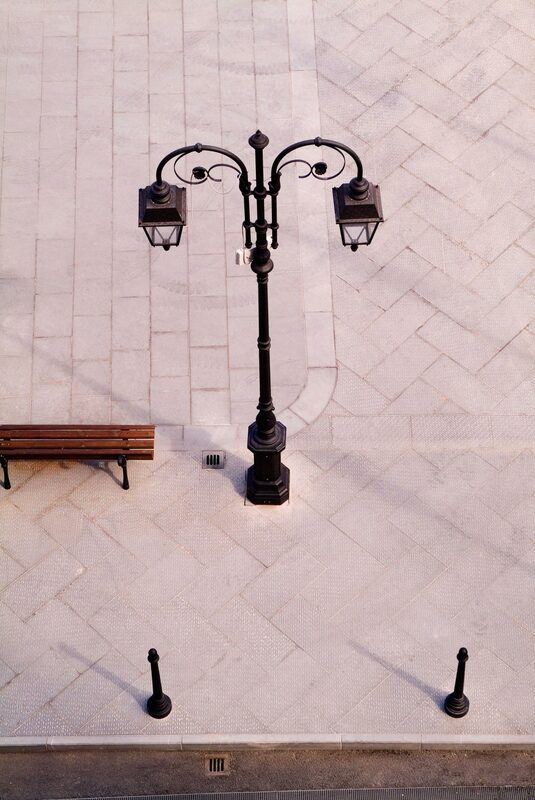 The paths are combined with rectangular slabs of lined and trimmed Colombino, laid in double herringbone. 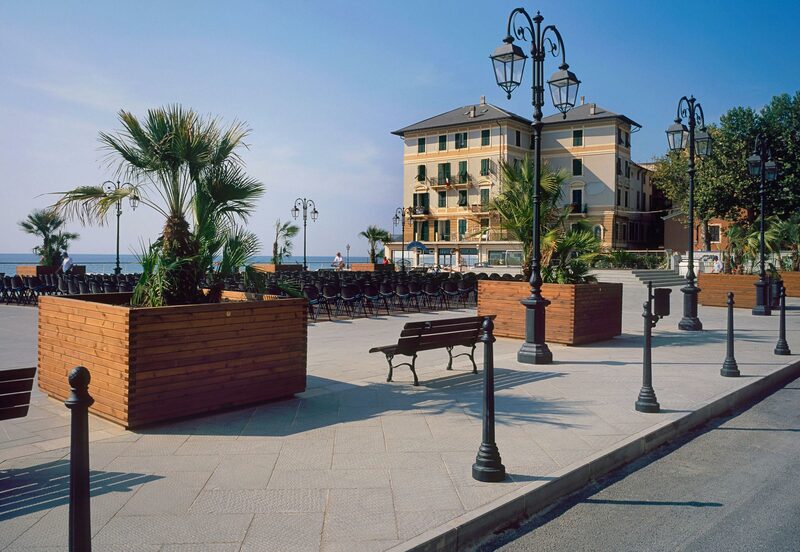 The surrounding strip is filled differently, with straight coursed flamed slabs; the link with the wooden slats of the parterre is solved with rounded edges at the corners. 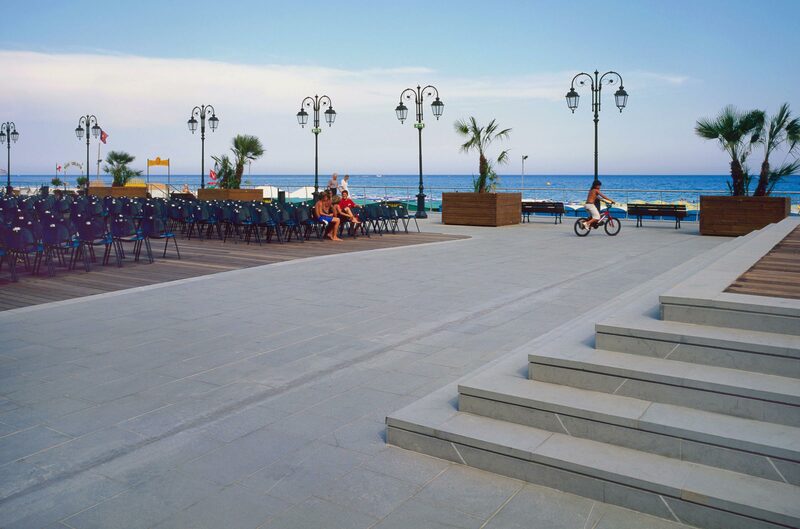 Finally the stairs, in flamed Colombino, raise the platform with five steps and separate the tread from the riser with a slight shadow effect.